Between December and February, Cruise Nation offer voyages to the majestic Polar Region - and our Polar Cruise deals and offers are some of the best around. We provide unparalleled access to this magnificent, isolated region of the globe. And from the decks of purpose-built Antarctic liners, to luxury cruise ships and 50 passenger converted research ships, there's a lot to explore - regardless of your cruise liner. With a number of wildlife spotting opportunities, the North Pole is a haven for nature lovers and outdoor enthusiasts. In terms of the animal watching, you're in for a treat - polar bears, walrus, seals and even arctic foxes all haunt the ice edge. There’s also the opportunity to observe millions of seabirds raise their young on ledges and barren islands. Combine this with remote villages, icy scenery and magnificent scenery, then the North Pole is a holiday you will never forget. 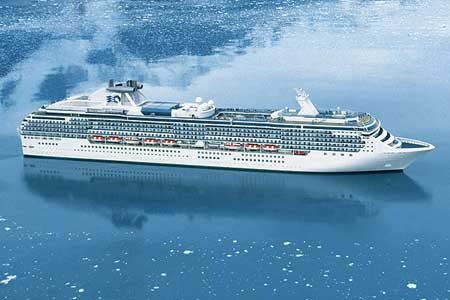 In terms of culture, these cruising trips also offer the chance to visit a number of arctic cities - such as Helsinki and Murmansk. Both of these locations offer the perfect opportunity to pick up souvenirs and sample the local culture. As the ice melts in these summer seasons, the water provides a gateway to inspiring scenery and breathtaking exhibitions of exploration. So if you’re looking to cruise with a difference, perhaps amongst the icecaps with snowy villages close by, then a polar region break could very well be the perfect cruise for you. A blanket of frozen ice that stretches 14,000,000 km² - Antarctica is a dramatic and striking natural habitat, but is also one of the most fascinating destinations to visit via cruise. Offering a range of outdoor activities, like animal watching and canoeing, these cruise trips are a favourite for the adventurous. It is a truly once in a lifetime experience - after all, there aren’t many people who can boast about standing at the most southern point of the world. But the beauty of Antarctica voyages is that cruisers can also explore this region at their own pace. You can stay on deck and enjoy some whale-watching, or there are a number of fantastic on-board amenities, like cinemas, so you’ll have complete independence throughout your cruise holiday. At Cruise Nation, we know how popular polar cruises are with our customers - which is why we offer a range of voyages to this part of the world. Whilst these trips are only seasonal, available between July and September, they are are still hugely popular - offering something beyond the usual holiday voyage. If you would like to learn more about our Polar cruise package deals, then please contact one of our friendly cruise specialists today on 0800 408 6484. Sign up for our E-Mails and you will save money on your next Cruise Holiday!